KoopaTV: Kirby Battle Royale: Copy Ability Poll! By LUDWIG VON KOOPA - We're surprisingly all agreement that we want this ONLINE MULTIPLAYER KIRBY GAME. With Nintendo making many announcements in yesterday's Nintendo Direct (read our live reactions to it! ), we have a lot of things to write about. While Kirby Battle Royale is likely not the most important thing to come from yesterday, it is one of the most surprising. It's also tied to a time-sensitive event, so might as well talk about it sooner rather than later. Kirby Battle Royale is yet more Kirby gaming content to continue Kirby's 25th Anniversary, which is a concerted effort to make me feel guilty for only listening to the Kirby franchise's awesome soundtracks without actually playing the games. It's a four-player game where you have Kirby fight other Kirby players, and perhaps some CPUs. Unlike Kirby Fighters Deluxe, it is in 3D. And unlike Team Kirby Clash Deluxe (and every other Kirby game currently in existence), it is ACTUALLY AN ONLINE MULTIPLAYER GAME! 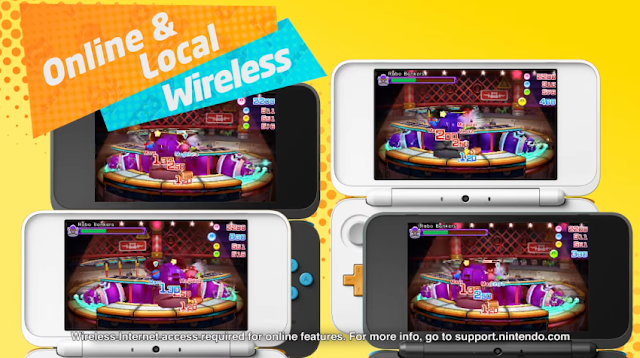 It's not only local wireless multiplayer, but ONLINE multiplayer! For real! The official Nintendo website description says you actually need an INTERNET CONNECTION to play online! We still don't know much about the game, but this was enough to get the four KoopaTV staffers logging yesterday's Direct to express purchasing interest in it. Super Mario Odyssey was the only other game to do that. (6:06:09 PM) (rawkhawk2010) Should we get it? (6:06:13 PM) (rawkhawk2010) I would if y'all did. (6:06:16 PM) Ludwig Von Koopa: Yes. (6:06:21 PM) Ludwig Von Koopa: Maybe. (6:06:23 PM) (Vortexica) Seems like a good bet. (6:06:25 PM) Ludwig Von Koopa: I want to know more about it. Right now, until October 2, 2017, Nintendo is holding a Kirby Copy Ability Poll at their Kirby Battle Royale site. Similar to the Fire Emblem Heroes Choose Your Legends ballot, you may vote once per day for a copy ability. The winner will get a wallpaper, a Nintendo 3DS theme, and may appear as playable in the game! I want to have been in that meeting where they decided which abilities would be in the game for sure, and which would for sure not be. The cannot be in the game abilities are either puzzle abilities (Light, Mini), are insanely overpowered (Metal), or pointless when your enemies are Kirby (Copy, Ghost). ...And then there's Freeze, which is probably here because it'd just be a clone of Ice. Why, then, can Suplex, Backdrop, and Throw be in the game when Beetle is in the game? Why is Sleep able to be in the game? Why is the Smash ability not even on the website? Why are Crash and Mic and Cook able to be playable? How would Hi-Jump work? ...Could you just not be reachable due to height? Kind of jealous of Meta Kn--... Blue Kirby. When you get down to it, Kirby's Adventure had a lot of redundant, single-use abilities that later games would combine into one. Freeze and Ice. Fire and Burning. Throw and Backdrop. Kirby's Adventure also introduced the Parasol ability, but the website erroneously says it came from Kirby Super Star. 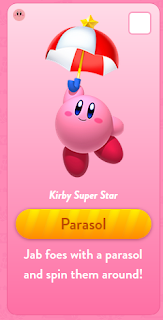 Parasol is from Kirby's Adventure! Not Kirby Super Star! If you're wondering which ability I'm voting for, since Tornado is already in the game, I'm voting for Mirror. Mirror is a really cool ability, especially with its basic movement gimmick of mirror images going in your direction. Mirror came from Kirby Super Star, which also introduced... a lot of the best abilities you see today. Ludwig would like to write more about Kirby Battle Royale, but there aren't actually much details on it. 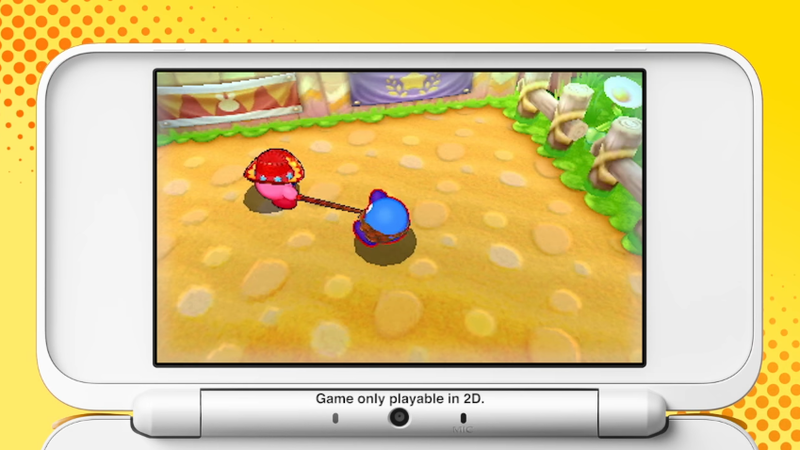 Still, the desire for an online multiplayer Kirby game was enough for the staff. Is it enough for you? Mirror actually won the whole poll, and they decided they needed to launch another round as a result. Also, reviews say Kirby Battle Royale isn't good. Since Mirror Kirby won, it gets its own Nintendo 3DS theme, so Ludwig analyses the theme. Sleep Kirby won the second round! I'm not too interested in this game to be honest. Even though it does have online multiplayer, I'm still content playing Team Kirby Clash Deluxe. As for copy abilities go, Mirror is an excellent choice. Another personal favorite of mine is Archer becuase of its range and ability to camoflauge. I'm interested in how the game will handle abilities that give you invincibility, like Stone or Camouflage. Will they give every ability a Grab that can bypass it? But then Stone would be too weak. ...Though, that could be why Stone isn't in the game to begin with. I want to know why Beam isn't, considering Beam brought us Beam Mage in Team Kirby Clash Deluxe.